Birdwatching, or birding, is a hobby that is enjoyed by many around the world. It is a way to relieve stress while watching fantastic birds at the same time. However, these birds are often hard to find, especially if you want to get up close, as they will simply fly away. However, with the help of binoculars, you will be able to see these birds up close without being too close, so that you can watch them for as long as you want without chasing them away. 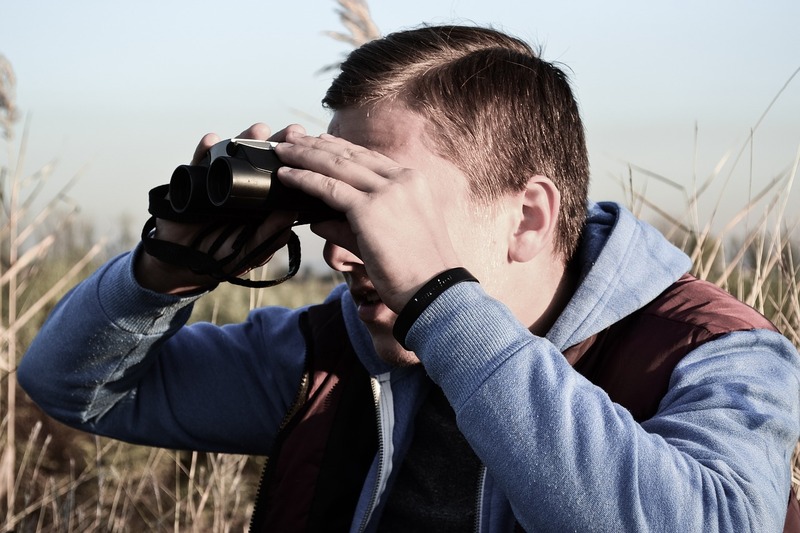 When it comes to choosing a binocular, knowing the features you want beforehand will give you a huge advantage when choosing. This is because some features will make you pay a lot, even if you aren’t going to use it, while if you know the features that you will need, you can pay just the right price. Some features that you should look for when choosing binoculars for birdwatching are coated optics and having a waterproof design. These features are great, but might not fit everyone’s pocket or needs. We’d, therefore, recommend you to neglect to look for these features if your budget is small, you should rather focus on features such as higher magnification or a more durable product. It is always a plus point to put value before price. The basis on which we will be differentiating the type of binoculars here will be the kinds of hinges used to make the binocular. As you know, unlike a monocular, a binocular uses two barrels for each eye to project the image to the viewer. This has an advantage of reducing eye strain and produce better images to the viewer. In order to make the device compact, easy movement, and better viewing experience, the two barrels are attached via a hinge, enabling them to be adjusted as per the comfort of the user. At the same time, this gives the user an option to make the size more compact for movement. The standard style of hinges used is the traditional single hinge about which the two barrels could move. The double open-hinge style uses two pairs of hinges to join the barrels. It gives you an option to increase the distance between the barrels for ease of viewing. The modern ‘single hinge’ has an advantage over the traditional hinge as it takes lesser space and provides a very comfortable wrap around the group for better hold and balance over the binocular. The quality of your binoculars matters a lot because if you want your binoculars to last for a long time, then having your product have high durability and protective armoring is a plus. However, having strong durability may not prove to be the best every time, as the stronger your binoculars are, the thicker the outer layer will be and the heavier it will become. The heavier your binoculars become, the sorer your neck will be after a long day of birdwatching, so we recommend that you get one of the products below, as they have a good ratio of protective rubber armor and weight. When considering the weight to strength ratio, there are three materials that stand out the most. Currently, Polycarbonate and Aluminium alloy are used by manufacturers to create your day-to-day basic binoculars which are affordable. High-end companies have recently turned to Magnesium alloys to create some of the lightest binoculars we have seen so far, however, the use of the alloy has led to an increase in price. Along with the protection of the body, you also need to keep an eye on the weatherproofing of the binoculars. Make sure to check for O-rings that are filled with nitrogen gas, which provides great protection to the internal systems from water and dust. Also, check for the waterproof ratings of the device. An IP-67 rated device is only semi immersible, however, an IPX7 is completely resilient against water, which makes it a better fit if you plan for a trek or hike through a marshy or rainy environment. The quality of the image produced by an optical device like a monocular, binocular or a microscope depends upon the objective lens of the device. An objective lens is a lens which is present on the other side of the scope from the user. The lens is the first piece of the equipment which the light from the object makes contact with. Therefore, the lens has to be made with a high-grade material in order to avoid any blurring and distortions to the image. In order to make sure that no type of optical illusions disrupt the forming images, the lens needs to be film coated to avoid distortions like blue fringing. The size of the objective lens has a direct correlation to the image quality. A bigger lens will increase your field of view, along with letting more light in which would, in turn, better the picture quality and brightness. A bigger lens does mean an increase in weight, which is a small concession to make. The lens and prisms used in making best birding binoculars are made using the best of materials and tools. Having said that, even the best products may have a point of failure which might need to be compensated for. Light, no matter how accurate, is still a parameter which is not completely reined in by the best of minds. In order to remove the disruptions and errors that may be caused by light, the prisms and lenses used in the construction of binoculars are coated with films made of varied materials. The lens can be coated, fully-coated, multi-coated or fully multi-coated based on the number of coats and how much surface of the lens is coated. It is advisable to go for fully multi-coated type lens binoculars because they are capable of negating a range of optical disruptions. Anti-reflective coatings on the lens and the prism will be able to reduce light reflection, which would reduce the disturbance caused to the light entering the binoculars and improve the image quality. If you plan on buying a roof prism using binocular, make sure the prism is coated with phase correction coat in order to reduce the phase difference which is generally caused when using this type of prism. The magnification on your binoculars will make the difference between seeing that rare bird from the other side of the valley or not seeing it, so going cheap and going with lower magnification may not be worth it in the end. As we said before, we highly recommend that you spend a bit more, as the higher end models tend to have magnification that goes upwards of x7 to even x10 magnification, with the cheaper ones only going to x4 or x5. However, this is also something you need to reflect on yourself, how much magnification do you actually need? What will you use your binos for? This factor must be considered if you would like to have uninterrupted viewing experience through your binoculars. The eye relief is the part of the binocular which you place your eye to view the final picture. The reason we produce bigger televisions is so that the bigger it is, the more of its details can be noticed and experienced by the viewer. The same principle applies to the size of an eye relief. The bigger the eye relief, the more the final image can be viewed by the user without moving his or her head too much. The bigger the television, the lesser the strain you need put on your eyes. A bigger eye relief is more comfortable on your eyes and will not cause any trouble if you plan to see through it for prolonged hours, trying to track an extremely sneaky toucan in the wilds of Brazil. There are two basic techniques which are used to project a faraway object in an optical device. One method utilizes a set of mirrors to project the image of the faraway object to the viewer and is called a reflector type optical device. Newtonian telescopes are built using this technique. Binoculars, on the other hand, use prisms to capture the light coming from the object and present it to the viewer. This technique, which is used by binoculars and many other types of optical devices, is called reflector method. The reflector has been known to be best suited for terrestrial viewing, and the binoculars in use are known to use either Porro prisms, also known as BAK4 prisms, or roof prisms, also known as BK7 prisms. BAK4 prisms are the more advanced versions, known to project better image quality than BK7 prisms. BK7 prisms, however, are known for being compact in size and prone to shocks and misalignment. If you plan to purchase a binocular with BAK4, you need to ensure it has a rugged body with a shock absorbent exterior. A BK7 won’t need much pampering when you will be trekking rugged terrain, but you will have to compromise with picture quality. Depending on the amount you pay, the quality and the number of features that you will get with your binoculars will change. We recommend that you max out your budget, as the more you spend earlier on, the better your experience would be and the longer it will last. If your budget is too low and you purchase a low-end model, you will end up spending a lot more to replace the one that breaks after one trip compared to purchasing a model that is a bit more expensive up front that will last a long time and save you money in the long run. Spending a bit more also results in lighter binoculars and will also result in better features and better durability, so we recommend that you set aside the most you for your binoculars. When going for a pricey binocular, ask the seller for the warranty options that the company provides. If you are purchasing from a big company, there is a good chance that they provide an extendable warranty option, which would be advisable to opt for. This step need not be explained or pointed at, but there are some of us out there who might hastily choose one, and under the perseverance of the salesperson, buy the product without considering the others. You may have planned and checked and rechecked online, but there is always a chance that the binocular for you have not come across your screen yet. It is always advisable that while purchasing, try all the available options in order to have a feel of all of them. Having tried and tested all the products available to you, now you can decide upon a binocular that you find fit among all the others available to you. Known as one of the best binoculars for birding, this product allows you to view birds with magnificent quality while the binoculars remains compact and lightweight. Combined with an affordable price and great durability, you’ll be enjoying these binoculars for a long time and they will be there whenever you are up for another day of birdwatching. This product has several features that make this product so much easier to use compared to other binoculars. One feature that we love is the ability to have a wide view (32mm) with these binoculars, which makes it a lot easier for you to find the bird you were watching and observing if it happens to fly away to a different branch. With a smaller view, it will be a lot harder to track the bird, which is why this feature is so important to have in a product while birdwatching. Another feature that we liked was the Ergocomfort, as it gives your arms and hands a rest during your long watching sessions. We recommend that you avoid any product that doesn’t have a form of ergonomic design, as you will feel the soreness on your arms and fingers after a shorter amount of time and you won’t be able to watch for hours like you would normally do with an ergonomic binocular. The quality of this product is also unmatched with any other in this price range, which is why we recommend it. 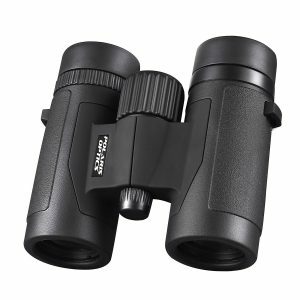 It has an outer shell that requires a lot of force to make dents and scratches in which is extremely important in binoculars that are meant for birdwatching, since you may accidentally trek into branches that might scratch your binoculars if the protection isn’t on point like the Polaris Optics Spectator are. Also, this product comes with a lifetime warranty, as the brand trusts their binoculars’ durability so much, they know that their product won’t fail on you. If the binoculars ever happen to break or get a lot of scratches, you can easily request an exchange and you can get a replacement within several days for free. The one thing about this product that isn’t too great is the price of the product. It is the most expensive out of all the products in this list. However, it isn’t expensive by a huge amount, but you’ll have to set aside a bit more than you would with the others in terms of budget, but we highly recommend that you do so, as you will get better features and better quality that will save you more money on the long run. The cheaper products will make you lose money eventually, as the price to replace the binoculars will eventually add up to be a lot more expensive than high quality binoculars from the beginning. This product has 8×32 magnification and size which is perfect for birding, as you have the perfect magnification to see the birds in depth and clarity. Although there are binoculars with higher magnification, x8 is good enough, and higher magnification such as x10 will only cause you to have a harder time finding the birds when they fly away. Overall, these binoculars are excellent due to its magnification, size, affordability, quality, and durability. If you are new and if it will be your first time going out to birding, then the Bushnell NatureView Birder Combo would be the best binoculars for hiking for you. This is because these binoculars not only come with a lot of features and high durability, but with instructional CDs that will guide you in your first trip. Along with the CDs, you will also get a log which you can use to jot down all the features that you see in the birds that you see, so that you won’t have to keep everything in your memory, but have everything in your log to look at later. A highlight feature of the Bushnell NatureView Birder were the multi-coated optics and the roof prisms. If you are interested in birdwatching, then having multi-coated optics are a must, as it helps greatly with providing you a crisp view of the bird you are watching. The roof prisms also help greatly in giving you a better view, as any light that comes through your optics will be used to give you an enhanced viewing experience. Another feature that is a highlight of these binoculars is the center-focus wheel, as with any other binocular, focusing is an important aspect to birdwatching and being able to focus easier is always a bonus. Do you want your binoculars starting to break down after your first trip? No one does. 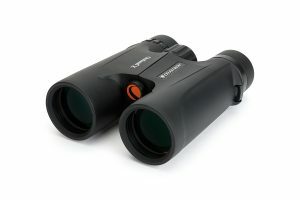 Therefore, these binoculars come with rubber armor coating, as this coating greatly increases the durability of the binoculars, as you won’t get any scratches that may damage any internal parts and the rubber coating will also improve your grip which will prevent the binoculars from falling or receiving scratches in the first place. Along with the rubber armor coating, the binoculars themselves come with a shell that is close to resistant to all scratches, meaning that you’ll be able to take these binoculars along with you for trips (and years) to come. The price of this product is similar to the product above this one but comes as a combo pack. This means that the quality and the features of these binoculars are bit lower than the product above, but the bonuses and the extras that come with this combo that doesn’t come with the product above is worth the quality drop-off. The price of this product is on the affordable side and isn’t one of the high-end models. However, the quality and the features that comes with this product is up to par with the high-end models because of some of the features, such as the multi-coated optics and roof prisms. 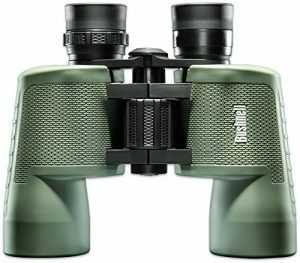 Although this product won’t last as long as the high-end models because of the difference of the materials used, this product will still be able to last as long if you can take good care of it and prevent drops and scratches, as there is no reason these binoculars will stop working, as long as you don’t break the optics or mess up the clarity knob. The magnification of this product is 8×42, meaning that you can see everything in clear detail, even if they are far away. Usually, birds will stay away from humans, which makes it hard to see them in detail, especially tiny details such as their wings, beaks, and eyes, but with this magnification, you will be able to see all of it clearly. The 42mm roof prism will also let you use it for birding purposes, as you won’t have to deal with larger lenses. The 8×42 size is perfect for birding, so even if you don’t like this product and want to choose another one, we recommend that you get one with this size, as it is the general rule of thumb for birding binoculars. Simply put, these binoculars are the best binoculars for wildlife viewing fit for anyone who is planning to do a wide variety of activities and not just birding, such as wildlife viewing. These activities may include hunting to even sport watching. If you were ever in a situation where you were hunting and couldn’t see the target clearly or couldn’t measure the distance between you and your target, or if you were ever in a situation where you got bad tickets to a sports game such as baseball, then these binoculars can fill in the gap and make you feel like you are right next to your target. These binoculars are also great in any weather condition, as they are built to handle any type of weather, whether it be foggy, rainy, or snowy. The features of these binoculars are mainly targeted towards countering bad weather conditions. Other binoculars tend to avoid countering weather conditions such as fog or snow and simply have the binoculars be waterproof and focus on the clarity and magnification. However, with these binoculars, the brand has made the lenses so that they are both fog proof and waterproof so that even if you are outside in the morning and there is dense fog, you won’t get any fog inside of your optics. Just like the other products in this review, this binocular has multi-coated optics, as well as a 42mm roof prism, to allow for clarity and for a high contrasting view. Due to the features that allow this product to be used in any weather condition, it will also have a longer lifespan, as there will be fewer cases of you having to replace the binoculars due to weather. Along with this, the product has rubber armoring around the entire binoculars, which will protect your binoculars from any drops or scratches that might break this product. As a bonus, the Celestron Outland X comes with a neck strap as well as a waterproof carrying case, so if you are traveling or moving, you can carry it around your neck or inside your backpack inside its carrying case, so that you can have the maximum lifespan of the binoculars. This product is a bit more affordable than the products above, but it is in the same price range. Although this product has similar features and similar durability, the price is a bit more affordable. Because of the weatherproof design, this product may also prove to be more worth than other products in the long run. If you are looking for better quality and more features, then you should increase your budget, but if you are fine with the features listed above and if you are okay with the durability and quality of this product, then we highly recommend that you get this product as it is one of the best ones that you can get for this price. The magnification of this price is also 8×42, meaning that the magnification is x8 and the diameter of the lens is 42mm wide. This is enough for birding and going higher or lower may affect your overall experience, so we recommend that you get a 8×42 binocular if your main purpose will be to go birdwatching. Overall, this product is amazing if you are going to go touring and watching birds in locations where the weather isn’t the best. Ciwa has created a pair of binoculars which are easy to use and provide great clarity and viewing experience to the user. Let’s look at the specifications of this model that make this equipment so great. The Ciwa Ultra HD 10×42 uses a BK7 roof prism to project the images from the objective lens to the eyepiece. The objective lens is of 42 mm diameter, which is very impressive in a binocular of this size. Along with great field of view and ample light, the binocular gives the user a fixed magnification of times 10, which, paired with the objective lens is able to provide crisp and clear images to the user. The quality of the image is only enhanced with a fully multi-layer coating of the objective lens and blue film coating of the 18mm eyepiece. These two coatings are able to cancel out optical disturbances which may disrupt the images. The exterior of the binocular is just as impressive as the interior as it is made using rubber armor and durable framework in an easy to carry, compact design. This is a saving grace for users of glasses as the eyepieces are easily adjustable to the individual user. With a field of view of both, 1000 yards or 305ft, you have a great viewing experience using these binoculars. This particular binocular comes with a smartphone adapter which can be used to attach your smartphone with the binocular and take beautiful and crisp pictures of the surroundings. In order to make your birdwatching experience an unforgettable one, Wingspan has created a pair of binoculars which helps you track your subject with ease. Let’s open the floor with the high-powered ED glass used in these binoculars, which are able to open the eyes of the user to a whole new definition of color. ED stands for Extra-Low Depression glass, which reduces the optical disruption known as color fringing, which it does by reducing chromatic aberration. The prism used is coated with phase correction film, enabling it to suppress any out of phase optical phenomena which may disrupt the image. This is paired up with a fully multi-coated objective lens with a diameter of 42mm for greater viewing and brightness. All of this is made better with a time 8 magnification for a great viewing experience. This binocular is highly resilient, as it is designed keeping durability and comfort in mind. The binocular is made waterproof and fog proof by purging the entire barrel casing with nitrogen, creating a positive pressure on the inside and preventing water or dust from entering. This is a great equipment if you plan on moving around rugged terrain. The device is lighter than its other 8x42mm contemporaries. The company provides you with a lifetime warranty which means that it will replace and repair your product for any damage under the terms of conditions, for the duration of the lifetime of your product. Autosport has been able to design a pair of binoculars that is half the size of a regular binocular but is capable of delivering the same, if not better performance. These binoculars by Autosport are very compact and easy to carry around without much hassle. The binocular is designed to provide the same functionality during the day and at night. At night, the night vision kicks in, however, there has to be a minimal amount of light as it cannot function in near dark conditions. The 25 mm diameter objective lens lets in ample amount of light to create a crisp and vibrant image of the subject you are observing. The field of view created is also very satisfying as you are able to spot your target with high accuracy even at 1000 yards. The whole viewing experience is enhanced by the 10 times magnification which, paired with the 25 mm objective lens, is able to provide greatly detailed and highly magnified images. The objective lens is fully multi-coated, implying that it is able to cancel out certain optical illusions in order to create disruption free images. The prism used in this binocular is of the Porro prism kind (BAK 4), which is the highest grade of prism available in the market right now. The compact body is designed using materials which are durable in nature and can stand their ground against the elements of the environment. This makes this binocular fit for any type of rugged expedition you plan to embark on. Gosky has been the leading name in the optical devices game for a very long time and has been able to deliver on its promise of a heightened viewing experience with their range of binoculars, spotting scopes and monoculars. This equipment is no exception as although this compact binocular may look small, it is just as robust as any other large sized binocular. The device comes installed with a BK7 type roof prism which avoids the chance of phase disruption and delivers crisp and clear images. The presence of roof prism also means that the binocular is very robust and will not be affected by any small shocks or such. The objective lens a has a diameter of 42 mm, perfect for low light viewing, as the lens is big enough to let ample amount of light enter. The objective lens is fully multi-layered which helps the lens to cancel out any optical disruptions which would cause the final image to be damaged. The eyepiece of 18mm is blue film-coated which works well with the green film of the objective to reduce strain on the eyes. All this is paired with a beautiful 10 times magnification mechanism so that your target can be viewed in the best quality. The exterior is built using durable rubber armor to make the binocular environmental and rough terrain-friendly. The device also comes with a smartphone mount, enabling you to take pictures through the binocular, on your smartphone. Deeteck has brought us one of the best compact binoculars in the market right now which can be used for bird watching. The binocular is created using an objective lens of 25 mm diameter which, for its size, is able to provide clear images with a good field of view. The objective lens is also fully multi-coated which means it has a multitude of coatings which, not only cancels out any optical disruptions but also reduces eye strain. The 10-time magnification pairs beautifully with the objective lens to create a crisp and clear viewing experience. The external body is created in order to suit the rugged terrain and this binocular can take considerable damage without affecting its performance. The body is ergonomically designed to reduce strain on the fingers, also coming with a good grip pattern for rigid and steady viewing. A smartphone adapter can be used with the binocular to take photographs. At .55 pounds, this is a very lightweight equipment which is easy on the neck. Bfull, with this device, has created an apparatus which is best suited to bird watchers and birding enthusiasts. This binocular is larger than your average birding equipment. The Bfull binocular utilizes a 50 mm objective lens as the entry point of the light. This is an impressively massive objective lens which lets in more than enough light to improve the quality of the projected image. This lens is also large enough for the binocular to work perfectly in low light conditions. The objective lens is multi-coated, signifying its ability to cancel out any optical disruptions caused by the reflection of the lens and, at the same time, reducing the strain on your eyes. The 50 mm objective lens works beautifully with the 12x magnification for better picture and viewing experience. It uses a BK7 type roof prism which makes the product very robust in nature. The binocular is tripod friendly for ease of use. E-wor has created a great optical device which is able to provide great viewing experience while keeping the size as compact as possible. The E-wor compact binocular utilizes a 25 mm diameter objective lens, which lets in ample amount of light for an enhanced viewing experience. The lens is of the fully multi-coated type, able to cancel out any optical disruptions caused by the reflection by the lens. Additionally, it also helps in reducing any strain that may be caused to the eye with prolonged use. The objective lens comes with a magnification of times 10 which is able to provide astoundingly clear and detailed images. The binocular is designed keeping the comfort of the user in mind; the compact design means the overall weight of the binocular is less, thus entailing a steady viewing experience without any strain on the arms or neck. The design is also very ergonomically made, reducing strain on your fingers and also furnishing a strong grip coating for a rigid hold over the binoculars. Occer has designed compact binoculars which can be considered the best birding binoculars in the market right now. The binocular utilizes a 25 mm objective lens which lets in a sufficient amount of light to provide a clear picture of the subject. It is fully multi-coated to reduce eye strain and optical disruptions. The binocular also utilizes a BAK 4 type Porro prism for the best viewing experience. The binocular is able to deliver a magnification of time 12 for a detailed view of the subject. Bushnell is a big name in the optical business and produces some of the best binoculars for birdwatching. 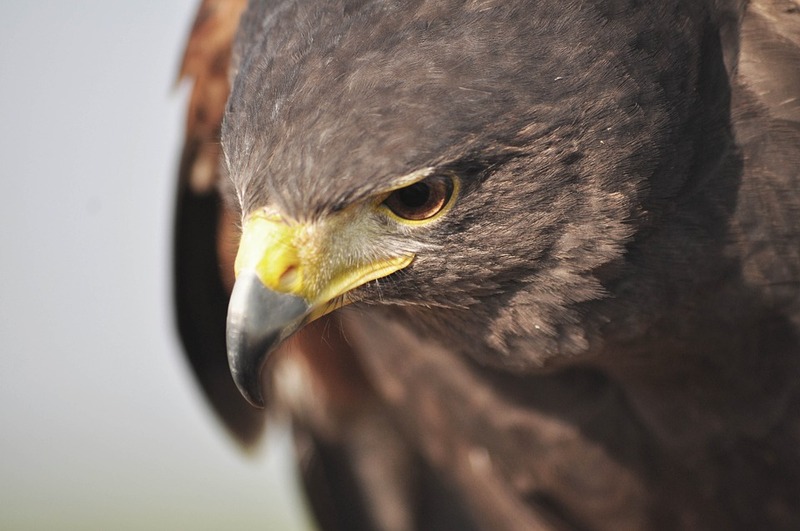 The Falcon utilizes a 35 mm objective lens to permit the entry of light. The lens is large enough to provide great daytime images and, at the same time, moderate low light images in the night. The 7 times magnification of the binocular is paired well with the lens to provide you with detailed and really crisp images of the subject. The binocular is very compact, fits right in your hand and has a rubber exterior coating for a rigid and well-gripped hold. Although this is larger than average binocular from Pankoo, it has several good features to offer. The large size of the binocular can be attributed to the large 50 mm diameter objective lens of the binocular which is able to provide the insides of the binocular with a large amount of light. The size of the lens is large enough to function just as well in very low light conditions. The lens is fully multi-coated to cancel out optical disruptions and reduce eye strain. The times 10 magnification is able to provide a highly detailed image to the viewer. The design is water and fog proof thanks to the O-rings being nitrogen purged. It utilizes a BAK 4 type Porro prism for greater image quality. Aitesco has created a small and compact binocular which can be carried anywhere, anytime. The binocular uses a 21 mm objective lens which provides good light exposure for greater image quality, even in low light conditions. The times 8 magnification is able to provide very detailed images to the user. The compact design and durable body make this one of the best birding binoculars. Skygenius has brought us another large-sized binocular. The 50 mm objective lens provides great light exposure to the barrels, which is able to provide clear and crisp images. Fully multi-coated, the lens is able to cancel out any optical disruptions. The times 10 magnification is able to provide detailed and crisp images of the subject. With a sleek rubber finish, the device is easy to use and causes no strain on prolonged use. The products that were reviewed above will make your birding experience so much better due to a few reasons. One, you will be able to see the birds as if you were standing right in front of them without scaring them off. 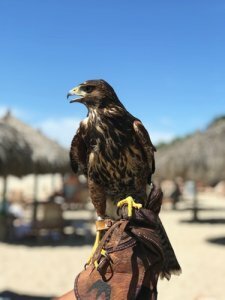 Second, you can not only go out birding with your pair of binoculars, but also carry it with you to a baseball game or even on a hunting trip. Lastly, you won’t have to deal with replacing cheap binoculars all the time, as the products that we reviewed above are all high quality and are affordable at the same time. Whatever binocular you chose, we know that you will have a better experience birdwatching compared to birdwatching without a binocular or with a cheap binocular, so go ahead and choose the one that interests you and take it on your next trip and feel the difference yourself!